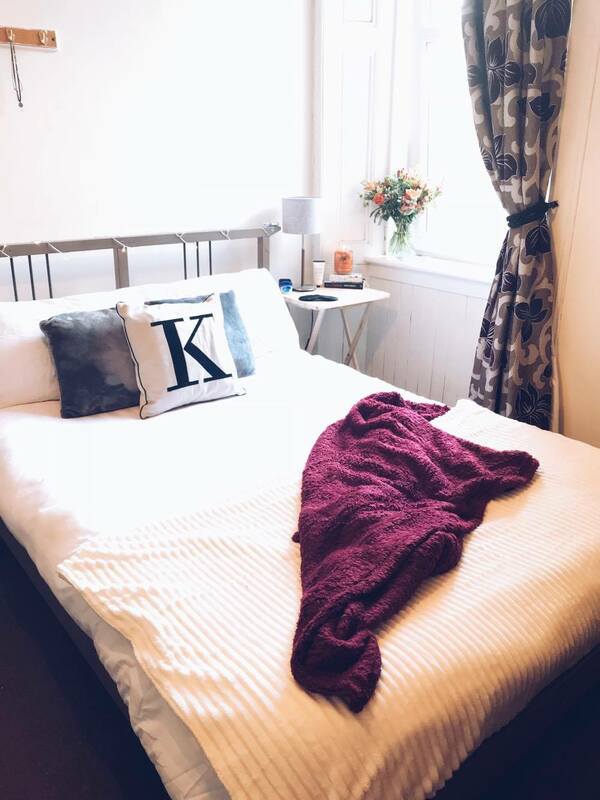 I bloody love autumn so I’ve been updating my bedroom for autumn. Any excuse to twirl around the flat in a blanket like a cape. 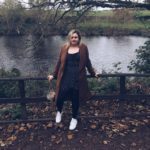 Whilst my student bedroom might not be the prettiest on the eyes (*cough* grotesque curtain *cough* brown carpet, yes a brown carpet), I have been trying my best to keep it feeling ~ stylish ~ and very me like. Yes, I just kind of called myself stylish. I wish that so-called stylish me could see current me wearing pyjama bottoms and a bright purple sweatshirt, very fashun. But since it is autumn I wanted to spruce things up a little so with a bit of help from TJ Hughes, voila, we have the finished results. 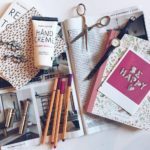 I hadn’t heard of TJ Hughes until they got in touch but they are basically a huge discount department store – there is everything and more on their website. I was lucky enough to get to choose a few pieces and smash them together to do my room over for autumn. 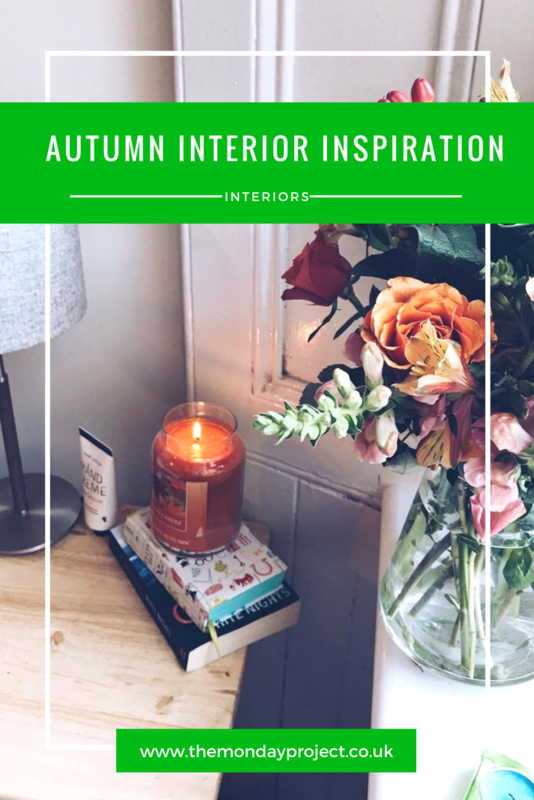 Green is undoubtedly one of my favourite colours but as I’m trying to keep things different between my bedroom at home and my bedroom at uni, I wanted to branch into other colour palettes. 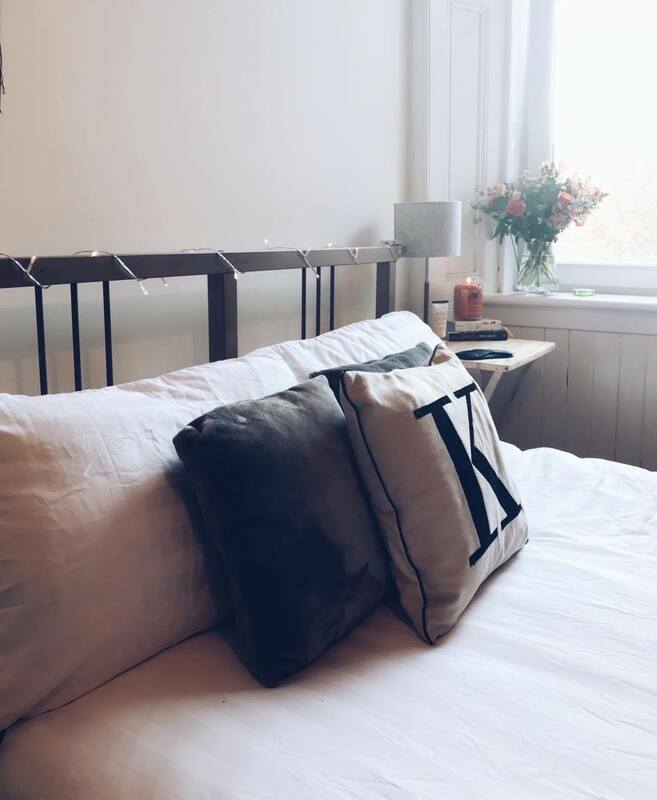 I already have the grey cushions from Primark which I picked up earlier in the semester and wrote about in my initial room tour post so I wanted to keep them in as they are such a great base to work off. I ended up deciding on working with autumnal tones: oranges and reds. Blankets were an obvious place to start for me when trawling the TJ Hughes website, they are the ultimate winter staple as they are so snug and cosy. 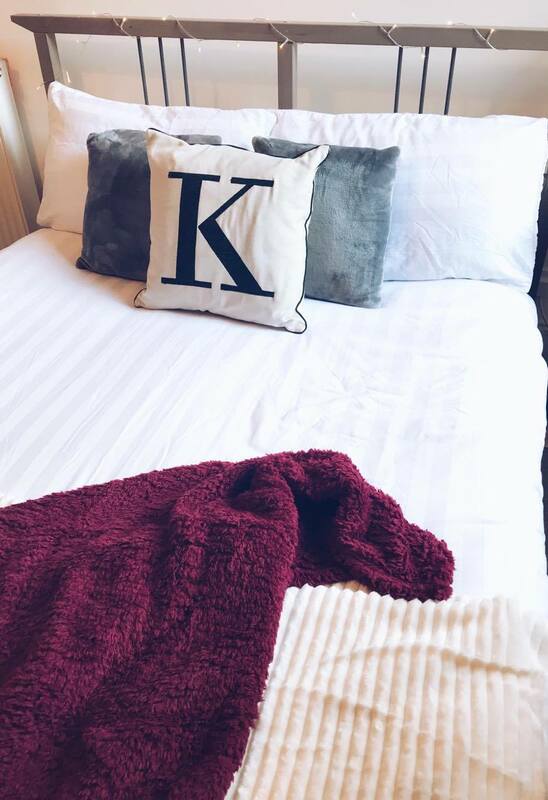 I wanted a slightly larger throw to have across the bottom of my bed and I’m so pleased with cream ribbed one* (which retails at £14.99) I chose. It blends in perfectly with the oranges and red tones and is super fleecy on the underneath which I wasn’t expecting. I also picked up another blanket, because there is no such thing as too many blankets and if anyone tells you otherwise, they are lying. The Teddy faux fur* is smaller but the cosiest thing I have ever touched, it is so fleecy and snug. I went for the shade red to bring in some autumnal colours and it is strewn very artfully across my bed at the mo where I last abandoned it (or posed for a photo). As it is smaller, the size I got retails at £6.99. Every Pinterest board for autumnal bedrooms you look at will have scatter cushions. I blinkin’ love scatter cushions even if they are a bit unpractical at times. As I already had the two grey cushions, I wanted something that could pull the whole look of the bed together and stand out. 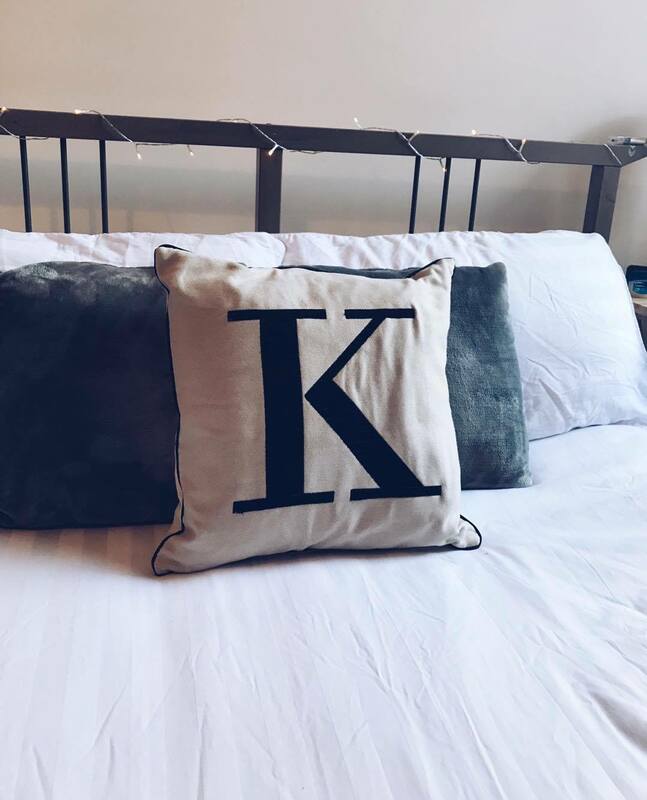 So naturally, being a tiny bit narcissistic, I went for cushion with a K on it* on it. I can’t believe this is only £4 as it such good quality, it is a really sturdy and well shaped cushion and it is probably my favourite thing from the little haul. 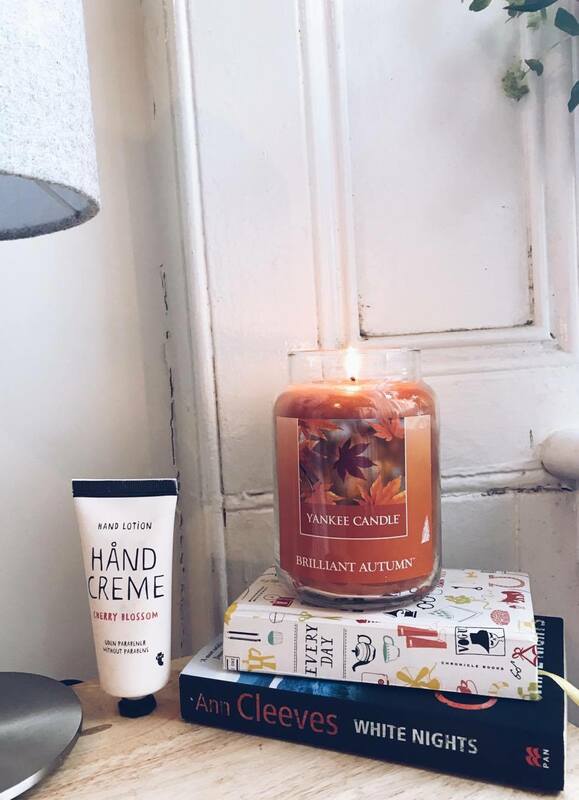 Having the right bedside table assortment in the colder months is super important in my opinion. I love sleeping with an eye mask as it just makes me sleep much more soundly and this one is from a Virgin Atlantic flight, I am v classy. I also keep a tube of hand cream (this one is from Tiger and has the cutest packaging) and some Vaseline to deal with the cold as with cold comes dry skin. A book is a bedside table must have for me to and I’m yet to crack into this Ann Cleeves murder book based in Shetland (which is now a BBC show). 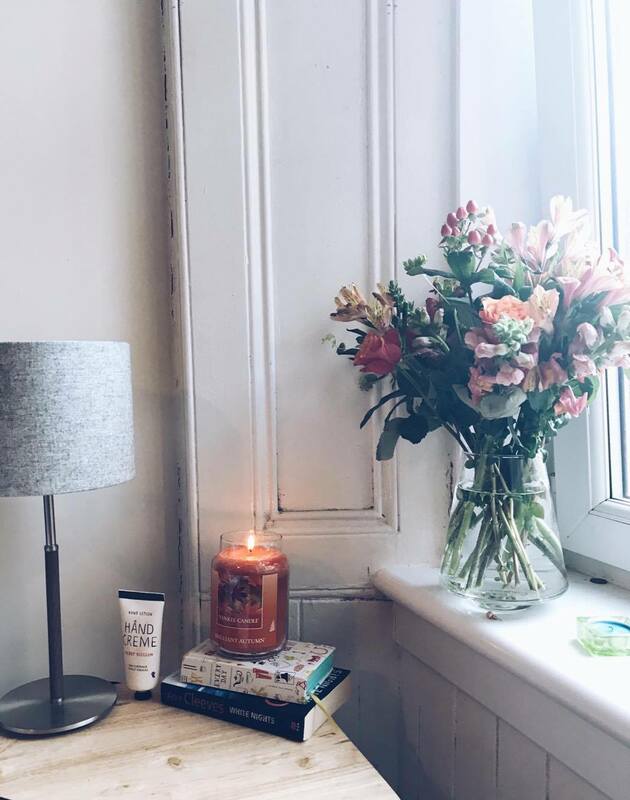 The candle, sitting prime of place on my beside table, is a Yankee Candle in the scent Brilliant Autumn* I also picked up from TJ Hughes. I have always wanted a Yankee Candle after hearing such good things but this one retails at £12.99 which is such a steal. It has a really nice scent and isn’t too overpowering. As it such a bold colour, it looks really pretty unlit as well. 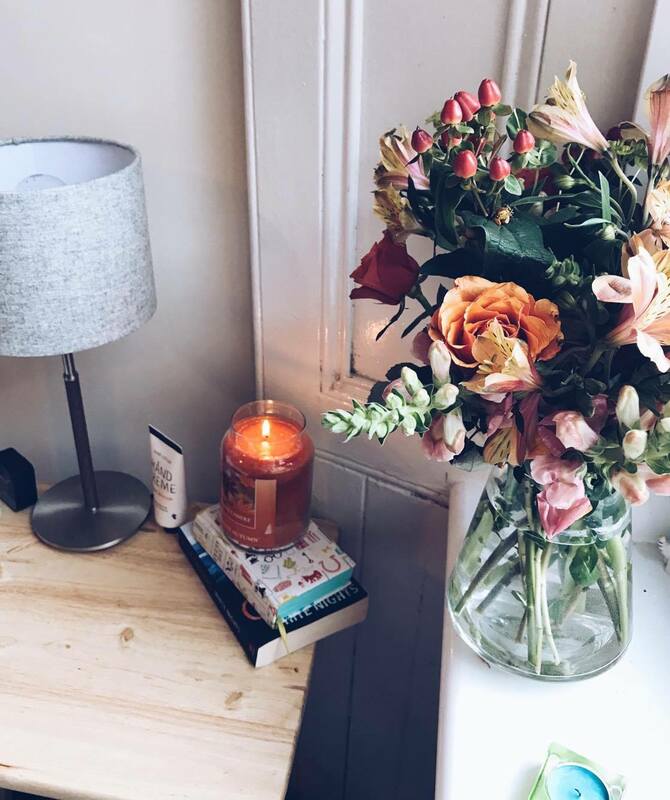 Little extras I’ve used to spruce up this corner of my room are the beautiful vase of Bloom & Wild flowers. This bouquet is called The Orla and isn’t she blooming gorgeous? Totally unintentional, but she blends in quite nicely with the red and orange tones of my bed! I also have a string of fairy light wound around by headboard which are from Primark and I always snap these up when I’m in store as they are so handy to have. My bedside lamp is from TK Maxx and also unintentionally matches, the grey cushions with the grey lampshade! So there we have it, a little autumnal makeover for the my dire student bedroom. I think I’ll be taking these blankets back to my house for Christmas though as they are so darn cosy, I don’t think I’ll survive the winter without them tbh. I’m off to eat some hummus and Riveta thins now as I saw the most beautiful velvet suit in Monsoon this morning so on a mission to be healthier so I’ll look nice in it if I ever build up the courage to buy it. This is a non-sponsored post produced in collaboration with TJ Hughes but all views and opinions expressed here are my own. I was gifted four items in return for an honest review. For further clarification, please read my full disclaimer here.